Car manufacturers have matured fuel cell technology to the point where the first production models will be coming to market within the next few years. Fuel Cell Electric Vehicles (FCEVs) represent a viable and attractive opportunity to secure more sustainable transport, using a powertrain technology that is clean, efficient and makes better use of natural energy resources. Using hydrogen gas as a fuel for generating electric power, FCEVs produce no harmful tailpipe emissions when being driven – only water vapour. The system they use is durable and compact and provides a consistent driving character regardless of the environment or climate, so consumers experience no major compromises in terms of practicality and performance compared to conventional petrol and diesel-powered vehicles. Several of the world’s leading car manufacturers have been developing hydrogen fuel cell concept vehicles during the past 20 years and have matured the technology to the point where the first production models will be coming to market within the next few years. Their priority will be to introduce vehicles in markets where a strategy is in place to support their use with an appropriate infrastructure for hydrogen fuel supply, distribution and sale. The FCEVs currently being prepared for commercialisation have a driving range comparable to petrol and diesel vehicles, typically between 400 and 500 miles on a full tank. What’s more, every mile of every journey, whether in town or on the open road, will produce no harmful tailpipe emissions. Industrial gas companies have developed hydrogen fuel dispensing systems that are safe and simple to use. International standards ensure compatibility between refuelling stations and vehicles, and the refuelling process takes around 3 to 5 minutes offering refuelling times similar to those of conventional petrol or diesel cars. FCEVs offer the same quiet, smooth and refined performance as battery electric vehicles. As with all electric vehicles maximum torque is delivered from zero rpm, which makes for very responsive performance when pulling away from standstill. Manufacturer development of the technology has ensured performance is maintained regardless of the local environment or climate. 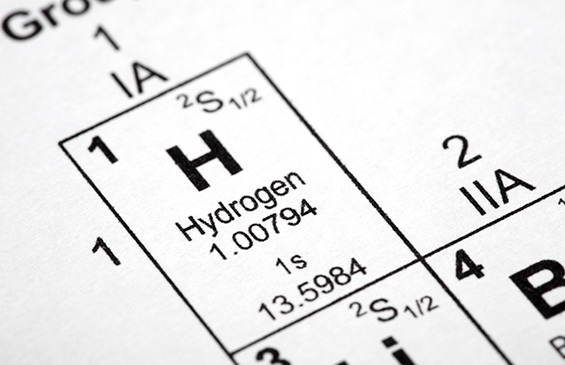 Hydrogen (H2) is the simplest, lightest and most abundant element in the universe and has been used for a wide variety of industrial applications for more than 100 years. It is non-toxic and is a clean, efficient and safe energy source. In the long term, hydrogen has the potential to be one of the most environmentally sound ways of fuelling transport needs. FCEVs produce no CO2 or other emissions, such as nitrogen oxides and particulate matter, which can damage air quality. The only by-product of their operation is water vapour, through the bonding of hydrogen ions and oxygen. Using hydrogen also improves energy diversity, reducing dependency on fossil fuels and assisting the integration of renewable energy into the national energy mix. Hydrogen can be made from renewable resources, fossil fuels and even waste. Although the first FCEVs on the market are expected to cost more to purchase than equivalent diesel or petrol vehicles, the price difference will narrow progressively. Local production of hydrogen fuel in the UK will support national energy diversity and security, with less reliance on imported energy. As with other zero-emission vehicles, FCEVs will also benefit from existing fiscal incentives under current UK tax legislation. UK H2Mobility’s roadmap calculates that the uptake of FCEVs will have a positive impact on public health. The absence of nitrogen oxide and particulate matter emissions means no damage to air quality, leading to an expected saving of between £100 million and £200 million in the UK’s annual health bill by 2050. For hydrogen FCEVs to be a common sight on UK roads, there needs to be a network of hydrogen refuelling stations built across the country. In the early stages of a roll-out, these stations are likely to serve the main areas of population concentration and arterial roads of the UK before reaching out further. 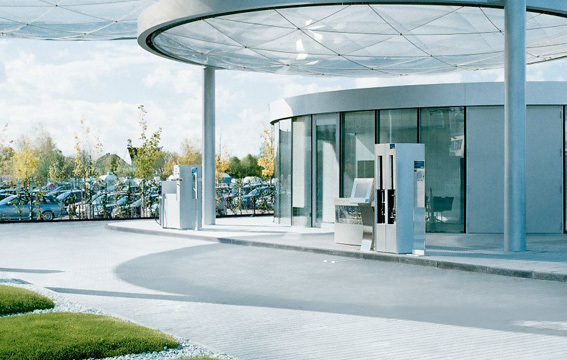 These stations will have a similar look and feel to current forecourt stations with their own dedicated hydrogen dispenser. It is also likely that the hydrogen itself will be produced on site rather than delivered by tanker, which is how current petrol and diesel supplies are transported to stations. 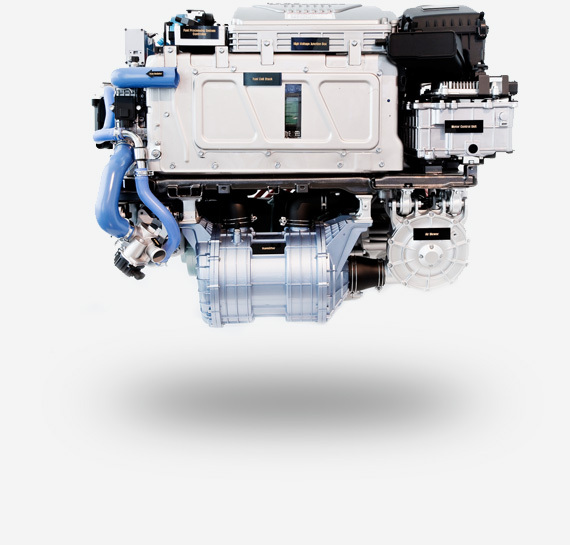 In an FCEV, the power generated by the fuel cell stack is used to drive the FCEV‘s electric motor, with additional power supplied when needed from a secondary battery. This battery is also used to store additional short-term energy generated in FCEVs equipped with regenerative braking.